Kill Screen is one of my favorite game magazines, unafraid of going deep into the murky waters around the mainstream of gaming culture. They're launching a revamp on Kickstarter, with a plan to focus on "kinfolk for videogames" instead of technology and media, which sounds just perfect to me. “Now is the moment to capture the independent game scene as it’s blossoming,” says [Jamin] Warren. “Just like the budding of New Hollywood in 70s or hip-hop in the 80s or electronic music in the 90s, independent games are reaching unprecedented heights of creativity and diversity. 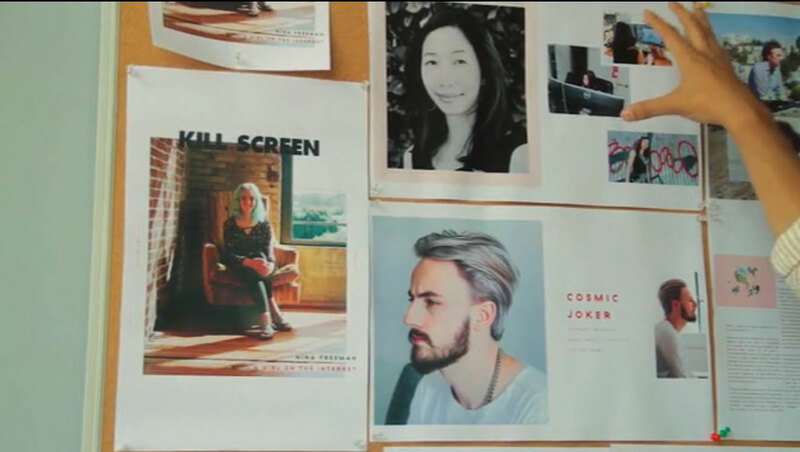 ”Kill Screen’s magazine will be totally overhauled in both content and design. Design references include beautiful magazines like Offscreen, The FADER & Juxtapoz. Rewards include exclusive art created for Kill Screen by some of their favorite artists,attendance to the annual Two5six festival, physical copies and subscriptions of the new magazine, and a limited-edition Kill Screen lapel pin. “Print is a gorgeous and meaningful way to capture the beauty of independent play,” Warren says. $5 gets a PDF of the next issue; $25 gets a physical edition and a bunch of goodies.